Me and my friends ate at Almon Marina for dinner a couple of days ago after our semi-weekly Bingo sessions. This relatively newly-opened sandwich bar replaced Seattle’s Best Coffee’s location in SM North EDSA’s the Block. We had no idea what to expect here, but I guess it was safe to assume that this would be something similar to Oliver’s Super Sandwich where sandwiches are the main specialty. However, I also assumed that they had good seafood due to the second of its name. And indeed, both assumptions held true. Their choices had three entire boards dedicated to sandwiches, and among these sandwiches were seafood-oriented ones such as salmon, tuna, crab, et cetera. However, it wasn’t entirely dominated with sandwiches, nor was it entirely dominated with seafood. They had grilled entrees as well, and because I was pretty hungry, and because the number of sandwich choices was too many to just pick one, I decided to order one of their house grilled specialties, their most expensive item on the menu, which was their Fillet Mignon for 260 Php. 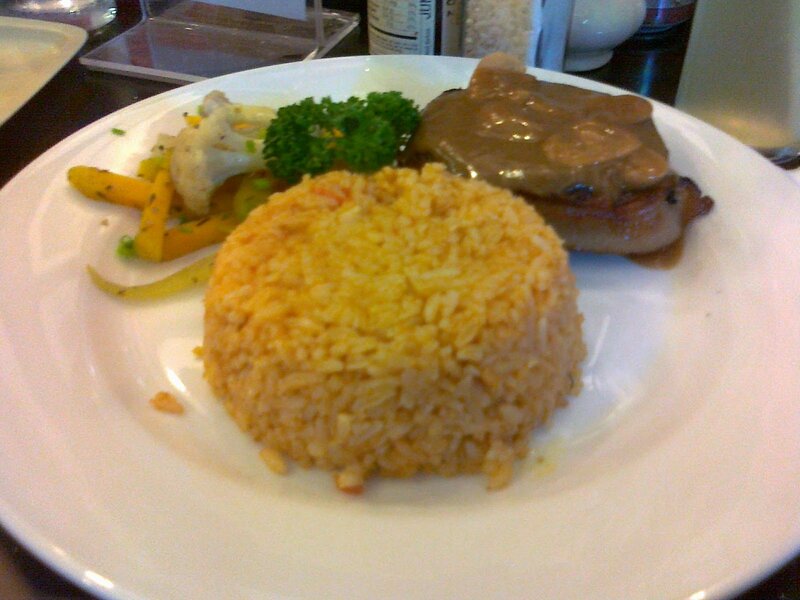 The Fillet Mignon was of a very generous cut of tenderloin beef wrapped in bacon and smothered in a mushroom-gravy sauce. And I was very, very pleased with the amount of meat in it. Not only was it very pleasingly tender, it was also grilled medium-rare, with some pink on the center, making it very juicy. And the thickness of the meat is far superior to the dismal ones they serve elsewhere for a similar price, except maybe for Grills and Sizzles. The pilaf rice had a slightly spicy taste on its own and there was a very generous amount of it. The side veggies were also seasoned quite well, and their crunchiness complement the softness of the meat. I saved the bacon for last making the plate almost perfect. Why almost? While the gravy was good, I would’ve liked it off the meat so that I could savor its tender goodness. While it’s true that we didn’t really sample this place’s specialty sandwiches, as all my friends also ordered their rice dishes, I believe this shows how good this place is. If their rice dishes, which assuming isn’t their specialty, are already as good as they are (the kebab looked wonderful and the grilled chicken smelled divine), their sandwiches must be as good or even better. However, I’m reserving high praises for this place until next time once I get to try out their sandwiches. But because I already know that they’re priced quite reasonably, the return to Almon Marina could happen pretty soon. Recommended for: Good food lovers. Not recommended for: Tight budget eaters. Smart nomnomnom tip: Great place for a company with different tastes.